Pembroke Event will not take place. Please note that due to navigation problems at Pembroke this event will not now take place this year. Once these problems have be resolved by the local authority a visit to Pembroke by water may well take place next year. Congratulations go to SBA member John Tilley for winning the Trophy for the most innovative entry in Watercraft Magazine's Cordless Canoe Challenge held at this years Beale Park Boat Show. Details of the 2013 Windermere Rally have been posted in the events section of the website. The Rally dates are 11-16 August. You can now register online and download the full registration form. Members may have noticed that pages 7 & 8 and 73 & 74 of the latest edition of the Funnel magazine were missing due to a printing error. We are grateful to the printers for reprinting this edition of the magazine which will be sent to members shortly. 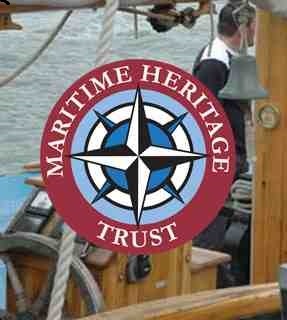 The aims of The Maritime Heritage Trust are to represent and promote the interests and operators of traditional and historic vessels at all levels of government and also to increase public interest and support for maritime heritage, which in turn will raise awareness of its cultural importance and have wider benefits for economic drivers such as employment, education and tourism. Their spring 2013 newsletter includes articles on paddle steamers Kingswear Castle, the Medway Queen and much more and can be downloaded here. Windermere Steamboat Museum is soon to be reborn! 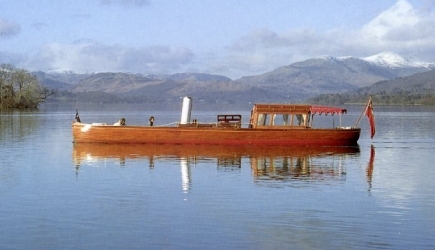 The Windermere Steamboat Museum is regarded by steamboaters not just in England but the world over as something of a spiritual home! George Pattinson’s legacy has been for many years a centre for rallies, steamboating activity and inspiring people to join the SBA. 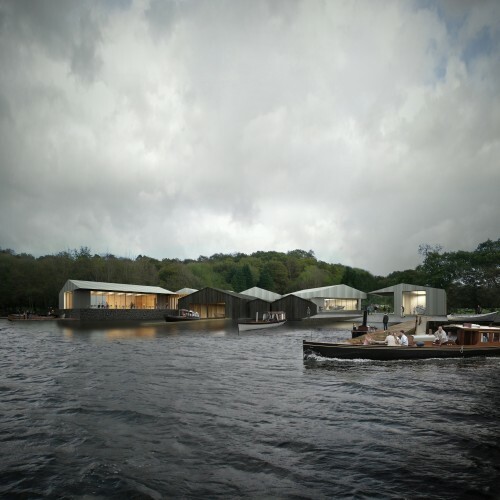 Since being taken over by the Lakeland Arts Trust, a great deal of work has gone into planning and conservation of the resources at the Bowness-on-Windermere site which could reopen in 2015. The last 18 months has seen development of extensive plans for the new museum including a 10 year conservation programme. Planning has included activities to be offered and the development of the stories to be told in the exhibition spaces. The ‘visitor experience’ is at the heart of the project, which means there must be easy access for everybody to the whole collection and the various connected storylines presented by the exhibits. The challenge is to provide interpretations of exhibits layered for visitors of different ages and learning abilities while still retaining the fascination for those with a specialist interest. Displays will explore themes touching, for example, on early tourism and the appeal of Windermere and how the lake was a source of income for those who fished or built boats. There will be a section called ‘Life at Speed’ charting racing on the lake from 19th century through to the 1980s. A great deal of work has gone into finding means of helping visitors engage with the historic boats, connecting human stories to the heritage. Envisaged are workshops for schools, interpreters to bring boating characters alive, regular clubs for younger people – for example ‘Water Babies’ and ‘Young Otters’ clubs. For older people there will be programmes of talks, lectures and performances as well as community engagement projects focused on a particular boats or story. The possibilities are endless and Charlotte Upton of the Lakeland Arts Trust sounds excited as she describes it all! 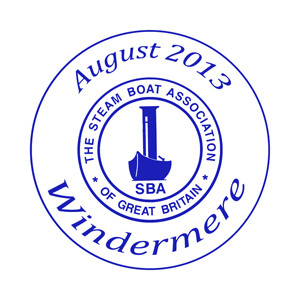 The conservation management plan is highly significant given the centrality of the Windermere boat collection to all that the SBA holds most dear. Prepared in great detail for the Heritage Lottery Fund (HLF) it reaches forward to 2024, ensuring that each boat has been assessed on criteria including originality, condition and its place in history. Boats have been categorised against one of six conservation methodologies developed from a comprehensive study of current best practice. The conservation team has made a great deal of progress and indeed SL ‘Osprey’ is already restored for operational use. …but funding has to be secured to make it all happen! The campaign to raise match funding to support the HLF grant has been incredibly successful and the Lakeland Arts Trust has raised £2.9m to date. A further £500,000 is needed to reach the target and so all donations are welcome to support this important project. The latest edition of the Inland Waterways Association (IWA) South East Region Newsletter, Cargoes - Summer 2013 is now available. It includes numerous articles of news from various parts of the canal network. This edition and back issues can be downloaded from the IWA website here. Over 40 boatbuilders, vessel owners, suppliers and trainees attended the first networking forum for the Shipshape Network in East Anglia, held on Wednesday 01 May at the International Boatbuilding Training College (IBTC) Ltd, Lowestoft. They were welcomed to the event by Hannah Cunliffe, Policy & Project Manager of National Historic Ships UK who, with her team, was undertaking a series of visits to historic vessels in the region. The event marked the launch of new regional pages for Shipshape East Anglia, bringing together 85 historic vessels in the area, with over 50 boatbuilding companies and specialist suppliers. IBTC has been awarded the status of the first UK Shipshape hub and will provide local support and advice to Network members, offering a regional base and access to on-site facilities. Regional projects featured at the event included: services and facilities at Excelsior Yard, Lowestoft; the regeneration of the old Whisstocks boatyard in Woodbridge, Suffolk; Stem to Stern Heritage Training and work experience; and Rescue Wooden Boats, the charity set up to restore, maintain and use examples of heritage maritime wooden working craft in North Norfolk. The Shipshape Network was launched in 2009 and is managed by National Historic Ships UK, the independent government funded organisation representing the interests of historic vessels in the UK. The Network provides a framework for all those with an interest in ship conservation and is home to the National Directory of Skills & Services, promoting the regeneration of traditional maritime skills and techniques. The historic steam tug Kerne celebrates her centenary in 2013 and is to undertake a series of sailings to mark this achievement. Completed at Montrose, Scotland in 1913 as the Viking the Kerne was acquired by the Admiralty and deployed in Chatham Dockyard after being renamed the Terrier, serving the Navy through both World Wars. On her release by the Admiralty in 1948 she was bought by J.P. Knight Ltd. of London, renamed Kerne and sold to the Straits Steamship Company Limited ( a subsidiary of the Liverpool Lighterage Co. Ltd ) to operate on the River Mersey and in Liverpool Docks where she worked until April 1971 when she was superseded by diesel power. The Kerne was bought by a group of enthusiasts in September1971 who have maintained her in operating condition for 42 years, dedicating much time and effort into preserving and operating this now unique coal fired steam ship. The Kerne can be seen in steam, travelling along the waterways of the North West of England and open to the public in the spring and summer months. To be held at the Leigh Arms, Acton Bridge, on the Weaver Navigation in Cheshire on Saturday 18th May 2013 and Sunday 19th May 2013. The Kerne will be on public display along with a display of George Coles, Clayton and Shuttleworth Steam Traction Engine and Alan Porters, Burrell Steam Roller in a triple centenary celebration. The Kerne will be moored on the quay of the Weaver Navigation adjacent to the Leigh Arms. This event has been organised jointly by the Kerne Preservation Society and the management of the Leigh Arms who will have available their excellent food and Celebration Steam Beer, making for a party atmosphere. This commemorative event is to be staged from the 24th to the 27th May in Canning Dock Liverpool, in the vicinity of the Mersey Maritime Museum. It is a tribute to the Tug Boat crews who undertook the perils of the Atlantic in World War 2 to recover the damaged and broken convoy ships, often with only the basic navigation aids available to them and with little protection against U Boat attack. The event is staged by Liverpool City Council. Kerne has been invited to participate in the River Mersey parade of participating naval vessels, departing from the port on Tuesday May 28th at the conclusion of the celebrations. To be held from the 7th to the 9th of June, the river festival is to include a variety of narrow boats, sailing and power vessels from the 19th and 20th Century, with both static displays and sailings in the River Mersey. The event will be centred on the Albert Docks with the Kerne open to visitors in Canning Dock. During the week commencing the 11th August it is planned to sail the Kerne along the River Mersey and the Manchester Ship Canal to Salford Quays and moor on the public quay adjacent to the Lowry Centre and Media City. Visitors are welcome on board over the weekend of the 17th and 18th August. Details of sailing and opening times will be published of the Kerne web site in due course. The festival is to be held on the 14th and 15th of September. Details of the content and programme will be published by the organisers and available on the Kerne web site in due course. The Kerne website www.tugkerne.co.uk will provide further details of each event in due course. Lots of useful information on launch sites and slipways in the UK or Europe can be found on the Boatlaunch website. Information on the slipways on the River Thames is also available on the Electric Boat Association's website.